You are currently browsing articles tagged Reformed Presbyterian Church. The biographies of faithful pastors make for some of the most rewarding reading. One example would be Samuel Brown Wylie’s Memoir of the Rev. 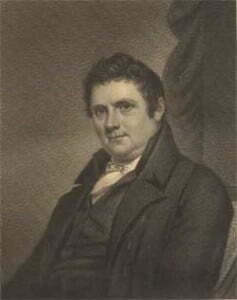 Alexander McLeod [1774-1833], a beloved pastor who is widely considered the patriarch of the Reformed Presbyterian Church. Another account of Rev. McLeod’s life and ministry is found in William B. Sprague’s volume on the Annals of the Reformed Presbyterian Pulpit. In this later account, offered by the Rev. Gilbert McMaster, we have a valuable portion on dealing with the death of a child. Such was the Rev. Dr. Alexander McLeod. Yet he was but a man—great and good indeed, but still a man. The sun has his spots, and my illustrious friend had his imperfections. They were, however, only such as are incident to our diseased nature in its present state;—the occasional manifestation of the remains, in the saint, of ” the old man,”—” the body of sin and death,” where the graces and virtues that constitute the Christian character were greatly predominant and confessed of all. The cause of Bible-believing archaeological study today owes more to joseph P. Free than to any other individual. It is an honor to the Reformed Presbyterian Church, Evangelical Synod, that for 30 years he has been numbered among our teaching elders. Joseph Free was born in Cleveland, Ohio, October 1, 1911, and entered Stony Brook School, Long Island, New York, and received the A.B., A.M., and Ph.D. degrees from Princeton University, New Jersey. In 1935 Dr. Free accepted an invitation to join the faculty of Wheaton College, Illinois, in the departments of French and Spanish. For ten years he studied in the field of Near Eastern history and archaeology at the Oriental Institute of the University of Chicago, and for nearly 20 years, until 1965, he served as Fred McManus Professor of Biblical Archaeology at Wheaton. After a brief period of retirement to his home in the north woods of Minnesota, he resumed his life work in the teaching of archaeology at Bemidji State College, Minnesota, where he was employed at the time of his death, on October 12, 1974. He was a member of the Midwestern Presbytery (RPCES), and was its moderator for two years in the 1940’s. He was ordained in 1944 to the ministry of the Bible Presbyterian Church. At his death he was still a member of the Midwestern Presbytery (RPCES). Dr. Free is best known as the excavator of ancient Dothan, in northern Israel, the town near which young Joseph was sold by his brothers (Gen. 37:17) and where the prophet Elisha performed a miracle of deliverance (II Kings 6:13). Professor Free had gained archaeological field experience as a staff member with the American Schools of Oriental Research in Jerusalem; and he and Mrs. Free directed ten seasons of excavation at Dothan between 1953 and 1964. Many field archaeologists and teachers, including several on the staff of Covenant Theological Seminary, owe their basic training to his untiring efforts and competent leadership. His vision resulted in the founding of the Near East Archaeological Society in 1960 and the Near East School of Archaeological and Biblical Studies in 1962, under which scores of students were introduced to Bible geography, history, and archaeology. He authored the widely used textbook Archaeology and Bible History, plus more than fifty articles on archaeology for both scholarly and popular Christian journals. He held membership in the Evangelical Theological Society, the American Schools of Oriental Research, American Oriental Society, Society of Biblical Literature, and National Society of Arts and Letters, which he served as National Literature Chairman, 1966-1970. “They that be wise shall shine as the brightness of the firmament, and they that turn many to righteousness as the stars for ever and ever.”—Deuteronomy 12:3. For more on the life and ministry of Dr. Free, see “Joseph P. Free And The Romance Of Biblical Archaeology.” by Timothy Larsen, in the Westminster Theological Journal, 66.1 (Spring 2004): 97ff. To view a portion of this article, click here. Other Presbyterian and Reformed bodies joined in the commission, such as the Korean American Presbyterian Church, Korean Presbyterian Church in America, Reformed Presbyterian Church of North America, and the United Reformed Churches in North America. Col. (ret.) David Peterson, after a thirty year career in the United States Army as a chaplain, became the Executive Director in 1995. He served up until just a few years ago, when Brig. 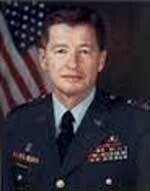 General (ret.) Douglas Lee took over the helm of that position. The Rev. Robert Waldo Chesnut was a pastor in the Reformed Presbyterian Church in North America, General Synod (RPC,GS). This was the body which later merged with the larger side of the Bible Presbyterian Synod split in 1965 to create the Reformed Presbyterian Church, Evangelical Synod. Dr. Chesnut served in the lean years of the denomination when, at its low point, there were just nine churches left on the roster. Eventually the Lord brought renewed vigor and growth, such that by the time of the merger in 1965, there were some 25 churches in the RPC,GS. No doubt the Lord used Chesnut’s sacrificial love for the Church as a great instrument in bringing about some of that later growth. Presbyterian Advocate, 87.4 (April, 1953): 40-42. On March 23, 1953 at 8:35 P.M. our Church was deprived of its Pastor Emeritus by the death of Rev. Robert W. Chesnut, Ph.D. He was 94 years, 6 months, 8 days old when he passed on to be with his Lord. Dr. Chesnut had been Pastor Emeritus since his retirement from the active ministry in 1942 after 55 years as a minister. In 1950 he attended his last meeting of General Synod, at the Houston Mission [in Tennessee]. In November of 1952 he reported to work on the new church [in Duanesburg, NY], bringing his hammer and lunch pail. He worked from 9 A.M. to 3 P.M. He later said: “I guess I pounded two or three pounds of nails and it helped some.” He was constantly interested in the new church and did all he could to advance its construction. “He had very little formal education in elementary or high schools. He never attended school during his early years for more than three months at a time. Until his entrance into college he had attended school only a total of twenty months. In 1869 his family emigrated, by covered wagon, to Kansas and settled in Clay Center. There Dr. Chesnut, his father, and his brothers engaged in farming. He did not want to enter college or the ministry and, he has reported, fought the call of God to the ministry for some time. Finally one day, plowing in the fields (and he had not enjoyed good health for many months) he stopped his horses, sat down on a plowbeam and settled the matter with God. He said: “Lord, if you will give me health and see me through my education I will serve you in the ministry.” He finished the day’s plowing without being fatigued and God has kept His part of the covenant by blessing His servant with good health and length of days. Anyone who knew Dr. Chesnut knows that he kept his part of the covenant too, serving his God and his beloved Reformed Presbyterian church for sixty or more years. He entered the Agricultural College of Kansas, at Manhattan, with a trunk containing a few clothes, his Psalm book, his Bible, and his Catechism, and $45 cash to see him through. He paid his way through school by raising a crop of wheat each Summer and selling it in the Fall. He also earned a little extra by tutoring his fellow students in Greek. His college training was continued and completed at the University of Kansas, at Lawrence. For theological training he spent a summer studying under his pastor, Rev. James S. Scott and entered the Reformed Presbyterian Seminary in Philadelphia the following term as a second year student. He completed the course and was licensed to preach on March 22, 1887 in the First Reformed Presbyterian Church in Philadelphia. He was ordained on May 10, 1888 and installed the same day as pastor of the Reformed Presbyterian Church at Marissa, Illinois. The church is no longer in existence. Dr. Chestnut had been called to a church in New York City, but declined the call because he thought that he, a farm boy from Iowa and Kansas, would not be suited to a city pastorate. After sixteen years in Marissa he went to the church in Cutler, Illinois. In 1910 he accepted a call to the Reformed Presbyterian Church in Duanesburg. Here he served as pastor and worked the parsonage farm until 1917. He then moved to the Seventh Reformed Presbyterian Church in Philadelphia and remained two and one-half years. He then returned to Duanesburg, to save the congregation from disbanding. It was, at that time, a small and discouraged flock in need of a shepherd. From 1919 until his retirement in 1942 Dr. Chesnut served here as Stated Supply, worked the parsonage farm (and another larger farm which he purchased from his meager earnings) and ran a printing plant. Robert Waldo Chesnut was pastor of the Reformed Presbyterian Church of Duanesburg (NY) from 1910-1917, and for forty years he served as Editor and Publisher of theReformed Presbyterian Advocate (although it was not always known by that name). 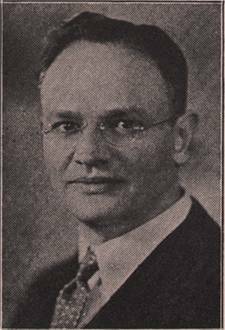 He also served as Moderator of the Philadelphia Presbytery and he served the General Synod of the Reformed Presbyterian Church in North America, as Assistant Clerk, as Clerk, and as Moderator in both 1903 and 1943. Dr. Chesnut was survived by his widow, Mrs. Anna Heim Chesnut, who is his third wife. In 1885 he was married to Jennie Hulick, who died in 1896. Their daughter and son died while in their youth. His second wife and an infant also died–the wife just five weeks after they moved to Duanesburg in 1910. Dr. Chesnut was survived by three children, thirteen grandchildren, and one great-grandchild. The Duanesburg congregation, and the whole of the Reformed Presbyterian Church, has suffered a loss by the passing of our friend. But we can have no regrets, for he lived a long and full life and we are assured that he has gone to glory to be forever with his Lord, where there is no more pain, no sorrow, no struggle with sin, no more death, where death is swallowed up in victory. At the time of his decease, the Rev. Alexander Morrison Stewart, D.D. was serving as pastor of the First Presbyterian Church of Chico, Butte county, California. He died in that town on Wednesday morning, February 24, 1875. Dr. Stewart was born in Lawrence county, Pennsylvania on January 22, 1814. He graduated at Franklin College, in New Athens, Ohio at an early age, and immediately commenced the study of theology under the Pittsburgh Reformed Presbytery, and was licensed to preach in December, 1841, after which he traveled extensively in the interests of the Reformed Presbyterian Church, through the Middle, Southern and Western States. The winter of 1844-45 he spent in attending divinity lectures under the late Dr. Samuel Brown Wylie, and medical lectures at Jefferson College, in Philadelphia. In 1845 he became pastor of the Reformed Presbyterian Church of Chicago, which charge he resigned in 1855 on account of ill health. His next charge was the Second Reformed Presbyterian Church of Pittsburgh, which he left at the breaking out of the war, to enter the army as chaplain. 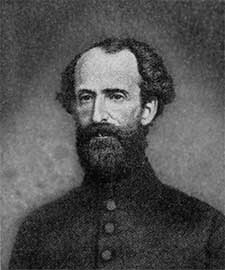 He remained in active service in the army of the Potomac until the war was over. After the close of the war, he accepted the united charge of East Whiteland and Reeseville Churches, in Chester county, Pennsylvania, and, in 1869, with a transfer of his ministerial credentials, went to the Pacific coast as district secretary of the Board of Home Missions for the PCUSA. In 1870 he became pastor of the Gilroy Presbyterian Church [PCUSA], from which, in June of 1874, he accepted a call to the First Presbyterian Church of Chico, which charge he held up to the time of his death. Dr. Stewart was an impressive preacher, a patriotic citizen, and an earnest worker in the cause of Christ. It is a commonplace to acknowledge that Americans are a people with little regard or appreciation for history. I don’t think that was the case in the early years of this nation, and I wonder if the declining regard for history runs parallel with the declining influence of the Church in general. Rev. Stewart’s conclusion, shown above in bold, accords perfectly with the lesson of John Flavel’s book The Mystery of Providence, where he demonstrates how frequently the Scriptures call us to remember God’s works, both His work of redemption and His works of providence. Christians should be a history-minded people, and how different the Church would be, if only we made a practice of daily remembering what God has done for us in His Son. Image source: Photo from A History of the Pittsburgh Washington Infantry,by John H. Niebaum. Pittsburgh: Burgum Printing Co., 1931, pg. 114. 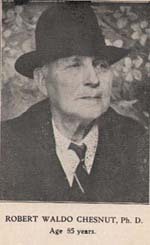 A photo of the Rev. Stewart’s grave can be viewed here. February 2: J. Oliver Buswell, Jr.
On February 2, 1977, Dr. James Oliver Buswell Jr. was called to his heavenly home. It can truly be said of him, he had fought a good fight, he had finished his course, and he had kept the Faith. At the age of 82 he could look back upon a life of dedication and service to his Master, Who had endowed him with many gifts, great wisdom and out¬standing leadership. He has been taken.from our midst, but his labors stand as a testimony of praise to God, Who was pleased to use him in many and varied ministries. As a seminary student he entered the military service of his country as a Chaplain in the First World War, where he ministered to soldiers even in the thick of battle. He was wounded in the line of duty and was cited in General Orders and received the Purple Heart and Silver Star. After the war he took up a pastorate in the Perseverance Presbyterian Church, Milwaukee, Wisconsin—1919 to 1922. His next pastorate was in the Grace Reformed Presbyterian Church in Brooklyn, N.Y., from 1922 to 1926. In the fall of 1925 he delivered a series of evangelistic messages at Wheaton College, Wheaton, 111. Shortly after that Dr. Charles A. Blanchard, the President of Wheaton College, died. Dr. Buswell was called to be the third president of Wheaton and was installed in April of 1926. He served there for 14 years in a most effective manner. During his administration the College grew numerically, its financial position was strengthened, new facilities were added, and it became fully accredited by the North Central Association of Colleges and Universities. It was during his administration that the Wheaton Graduate School was established. He remained at Wheaton until 1940. Following this he taught for a short time at Faith Seminary. In January of 1941 he was called to the presidency of the National Bible Institute of New York City, which, under his leadership became Shelton College. The school also grew and developed under his 15 years of able leadership. In 1956 he was called to be Dean of Covenant Seminary, St. Louis, Missouri, where he served for 14 years until his retirement in 1970. He and his wife moved to The Quarryville Presbyterian Home as guests, but here too he continued his ministry of speaking and writing. He is known for his writings, especially the two volumes of Systematic Theology of the Christian Religion, which is widely used today. In 1936 Dr. Buswell, together with Dr. J. Gresham Machen, Dr. Harold S. Laird, and others, took his stand fearlessly for the Word of God in opposition to the forces of modernism in the Presbyterian Church U.S.A. There was a great price to be paid from a human standpoint but, like Paul, he counted not his life dear to himself that he might finish the course God had given him. He, with the others mentioned, became the leaders of a new movement committed uncompromisingly to a loyalty to God and the Scriptures. He helped form the Presbyterian Church of America in June of 1936, which later changed its name to the Orthodox Presbyterian Church. In the of 1937 he was a leader in the group which became the Bible Presbyterian Church and later, was again a leader in that portion of the BPC which became the Evangelical Presbyterian Church, 1956-1965. In all of this taxing experience in the life of the Church, his leadership was evident and greatly respected. He served on the Fraternal Relations Committee used to bring about the union of the Reformed Presbyterian Church in North America, General Synod and the Evangelical Presbyterian Church in 1965. This resulted in the formation of the Reformed Presbyterian Church, Evangelical Synod. One of the key issues which evidenced departure from the Word of God was that of the Foreign Missions Board of the Presbyterian Church U.S.A. Out of this arose the Independent Board for Presbyterian Foreign Missions. Dr. Buswell was one of the founders under the leadership of Dr. Machen. In the developing Evangelical Presbyterian Church, the same urgency of missions continued under Dr. Buswell’s leadership and the Board of World Presbyterian Missions was created and continued to serve as the missionary arm of the Reformed Presbyterian Church, Evangelical Synod. Dr. Buswell served on this board until his death. Dr. Buswell served on many boards, agencies and committees of the Re¬formed Presbyterian Church, Evangelical Synod. When the denomination was newly established, he had the joy of having a great input to its growth and development. A great man has fallen, but God’s course continues—“He being dead, yet speaketh.” He has left the challenge to those who continue under the same Head of the Church, our Lord Jesus Christ. Dr. Buswell was survived by his dear wife, a faithful helpmeet for 59 years, and four children, all active in God’s work: Jane (Mrs. Philip Foxwell), Ruth (Mrs. Edward Noe), Dr. James Oliver Buswell III, and Dr. John Buswell. There are also ten grandchildren and seven great grandchildren as well as a host of friends, both in heaven and in all parts of the world. The challenge is for us to arise and possess that which God has promised us as His people. There remains yet much to be possessed for God’s kingdom. The Houston Mission was a work of the Reformed Presbyterian Church, General Synod (New Light), situated in one of the poorest areas of rural Kentucky. Staffing that ministry for most of its half-century of existence were two selfless women, one of whom is recounted here in a memorial which was spread upon the Minutes of the 152nd General Synod of the Reformed Presbyterian Church, Evangelical Synod (1974). I will invite you to come back to this post next week, after I am able to add some photos and perhaps some other information regarding the Houston Mission and Miss Foster, one of the elect ladies who oversaw that ministry. Miss Elva Foster was called to be with the Lord on January 3, 1974. In 1907 she and Miss Susan J. Cunningham founded the Houston Mission in Breathitt County, Kentucky, which for many years served the people on Turkey Creek in spiritual, educational, and physical ways. Miss Foster taught school and later was matron of Ananth Home, the dormitory for the grade school children. Most of her life was spent at this mission post with the exception of some time she was at home to care for her aged mother. She was the perfect lady in surroundings of crude and sometimes unfriendly character. She put much of her small salary back into the work and was the spiritual “mother” of the children of the mission. Even after her retirement when she went to live near relatives at Hebron, Nebraska, she was vitally interested in the work in Kentucky. Did you know, that in a manner of speaking, the official archives of the Presbyterian Church in America—the PCA Historical Center—began with a devastating fire?! Let me explain. The PCA Historical Center began its existence in January of 1985. At that time the PCA did not have central offices for its agencies, so the president of Covenant Theological Seminary, Dr. Will Barker, offered to host the newly founded archives. The PCA had just a few years before received another denomination—the Reformed Presbyterian Church, Evangelical Synod (RPCES)—and with that merger, Covenant College and Covenant Seminary both became PCA schools. It made sense to put the Historical Center at the Seminary, too, because the RPCES archives were already there. But back to that fire: The RPCES was itself a merger of two denominations, a merger which took place in April of 1965. One wing of that merger was the Evangelical Presbyterian Church, so named between 1961-1965. Prior to that it had been named the Bible Presbyterian Church, Columbus Synod [1956-1960]. This was the larger portion of a split of the old Bible Presbyterian Church [1938-1955]. The other side of the merger creating the RPCES was the Reformed Presbyterian Church, General Synod [1833-1965]. This group was also one portion of a prior split, the other side being the Reformed Presbyterian Church of North America. That latter group is still with us, and they are the denomination that operates Geneva College. I’m getting to that (It takes patience to be a Presbyterian! ): The General Synod, or “New Light” RP’s were a denomination that began shrinking in numbers during the last part of the 19th-century and the first part of the 20th. At their low point, there were only nine General Synod churches. Then, around the 1940’s and 1950’s, with the addition of some new pastors, they began to plant new churches. By the time of that 1965 merger, there were twenty-eight RP, General Synod churches. 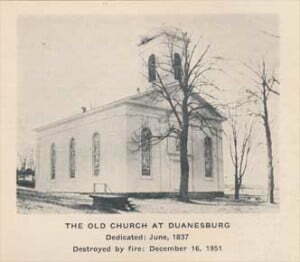 One of their oldest churches, Reformed Presbyterian Church, was located in Duanesburg, New York. It had been founded in 1795 [and still exists today, as a member congregation of the PCA]. The pastor of the Duanesburg church, Rev. Chesnut, was one of the older RP pastors. It was he who almost single-handedly held the little denomination together in the first half of the 20th-century, serving as Stated Clerk and editor of a small denominational magazine,The Reformed Presbyterian Advocate. We have added some more valuable material to our collection of books and other literature, and added more case room and are now ready to receive antiques or valuable historical matter for the benefit of the coming generation. Have you anything to spare that would soon be lost, or valuable to the church for future reference? It will be in safe keeping for years to come. What we want, may be of no value to you, but very valuable to others in later years. It was early evening, December 16, 1951. We were just getting our Sabbath evening supper on the table when Miss Bertha Wilber and Miss Charlotte Knowles burst into our front door with the exclamation: “Did you hear the fire siren? Our church is afire!” I believe I made the fastest trip from home to church that I had ever made. When I arrived the fire was just breaking through the west windows and the firemen were fighting the flames. My first thought was to save something, especially having in mind the Historical Repository. As I opened the front door and tried to go in, the smoke drove me back and made it impossible to go in to get anything. Two other men had previously tried to get in, but were prevented by smoke. A few minutes later the fire company ran out of water. In the country the trucks carry a tank of water and whenever possible pump water from a well or fire-pond. Neither was available near the church, so after the water supply in the tanks was exhausted there was nothing more that could be done. Firemen, church members, neighbors could only stand helplessly watching it burn. Our church, built in 1837, which we loved so well and had started to redecorate, was burned to the ground. There was nothing left standing but the chimney we had erected a short time ago. As I left the scene to break the news to Dr. Chesnut, I went with a heavy heart. I was afraid the news would be a very great blow for him. But I was wrong—he encouraged me and immediately began talking about building a new church. His words: “Don’t be discouraged, Mr. Meiners, and tell the people not to be discouraged. With God’s help we can do anything,” are still ringing in my ears. So, those things that were lost in the Duanesburg fire, had they been saved, would eventually have come to be part of the RPCES archives, and then later, with the Joining and Receiving of the RPCES in 1982, would again have become part of the PCA archives in 1985. And that’s why I said that, in a manner of speaking, the PCA archives began with a devastating fire. As Christians, we must pray in this way, even though we perhaps only rarely know why the Lord allowed somethings to happen they way they did. As to archival collections, we work to preserve these things for so long as the Lord will allow. They are not forever, but for so long as we have them, they stand as a testimony to how the Lord has been at work among this small portion of His Church. In all things, may God be glorified!